Today will go down as one of the toughest days in the life of the Hopkins family (that’s us). Moments ago, we announced to our congregation that we will be following God leading to surrender our lives to His will and have taken a pastorate position in Roanoke, Virginia. I would love to share with you this journey of love, trust, obedience, and faith. Love - Mt.Carmel Baptist Church, the church we fell in love with on day one. The reason this day is so tough for us is because we have grown to love, admire, and serve together with one of the dearest group of Christians we have ever known. Our hearts have been knit together in so many ways, but the biggest way is the work we have seen God do over the last 4 years. God has made Himself so glorious and beautiful to us. He chose to show off through His people at Mt. Carmel, and that has knit our hearts together in ways we never thought possible. God Displayers. The whole community knew about our church and what God was doing, not because of outreach events or planned activities, but because of our people. They loved telling others about what God was doing. United. Mt. Carmel church was a true example of unity. When we were in the Dominican Republic last year, we spoke on unity in the church not knowing that even in other cultures unity is such a hindrance for the spread of the Gospel. Loving. Mt. Carmel has such a great love for people, missions, the lost, and the Lord. We have learned so much through the people at Mt. Carmel and we are so glad that God lead us to this special church. We will love and miss you dearly! We were contacted by a church in Roanoke, Virginia at the end of last summer. They asked if we would pray about coming to be their next Pastor. We prayed about it but did not feel led at that time, but told them that we would be praying for God’s perfect will and that if He started leading in that direction we would let them know. In early February, Mark asked me if I had started sensing Gods call to this other church. At that time, I had not but told him that I would resume praying for God’s leading in our life. After much prayer and seeking God's direction we both came to the conclusion that God was doing something we just didn't know what. While God was dealing with Mark, God was also dealing with me and our oldest son Garrett. In this whole process, we learned that we needed to trust God's will and plan for our lives. We needed to trust that His will was perfect and for the good of all involved. We needed to let go of our desires and trust that He had a plan that was better than ours. This isn't always easy. We learned and are still learning that even though we don't see what He is doing we need to trust that His way is best. Through our own study times and prayer times, God revealed His will to us and that was for us to leave Mt. Carmel to accept the call to Shenandoah Baptist Church. This call was so unmistakable that we knew we would be in sin if we rejected it. There have been many difficult times between the call in February, the confirmation of that call through the leadership of Shenandoah at the end of March, and today. God's will was clear but what about the timing? We knew that God had given peace about the time-frame but as it got closer we began to question it. Mark left for Africa on April 20th. I knew that when he returned we would immediately enter a new phase of life. I had to cling to the Lord asking Him to calm my heart and speak to me about His timing. This was on Saturday, April 26th. On Sunday, our Associate Pastor, Mike, spoke a message on "Sending". He opened with the passage, John 20:19-21. Christ comes back from the dead and immediately everyone is so excited. They are all thinking they will continue serving together with Him in ministry but when He comes back He immediately sends them out and leaves. He doesn't stay to minister with them. He pointed out that it wasn't God's goal for the disciples to stay and minister where they were at. He was sending them out. God's timing is perfect even if it may seem wrong. God spoke to me through His word that day confirming what He had already been saying. God showed me that day that I needed to rest in His timing. I left it at His feet and walked away. Today we are acting in obedience to the call. We are asking God to show His church the same will He has shown Mark and me, but we realize that may take some time, just as it did us. There are times obedience is hard, but that doesn't mean we don't want to follow God's call. We want God's complete will for our lives and are wholeheartedly surrendered to that will. We know that God will use this in our lives to make us more like Christ and will do the same in others. We are excited about what God is going to do in the future of His people everywhere. We are living in such a beautiful age in the church. While it is true that many congregations are dying, I believe with all of my heart that we are about to see an awakening in the church due to persecution. I believe that if Christians are obedient to God's calling we will see a great revival. I am waiting in great expectancy to see what God does through His beautiful church during our life-time. Even though obedience might be hard, the reward of obedience is eternal and life-changing. We are thrilled to follow our Savior in obedience to His call. In stepping out in faith, we are looking forward to our new ministry ahead as well as to what God is calling Mt. Carmel too. While we have not been thinking much ahead, because we know that will come soon enough, we have a great desire to see God do above and beyond what we could ask or imagine at Shenandoah and in the Roanoke Valley. We are ready to be used however God wants to use us. We are surrendered to His task and desire His glory above all things. We have faith that He will knit His church together here and forever more. We have faith that He will enable us to do what He has called. We have faith that He will make Himself known to the ends of the earth. We have faith that He is and will always be a great God who loves and delights in His children. Today, we are fixing our eyes on Jesus, the Author and Finisher of our faith! Summer is officially here for us. School is out and the kids are downstairs wrecking the house. I can't remember a year that the kids got out of school so soon. They aren't complaining and I can honestly say that I am ready to get back into some sort of routine. Mark and I have seen each other 7 days in the last month because we each have lead missions trips in the last 30 days. Life has been wonderfully crazy for us and I am sure it is just as crazy for you! 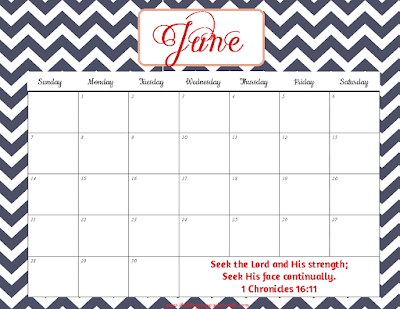 Calendars are just one of those things that help organize our crazy lives and so here is the June 2015 I have designed. 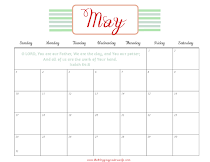 I hope you can use it or at least pretend to use it to stay organized. I will be more on the pretending side. It sounds so grand to be organized...maybe some day! 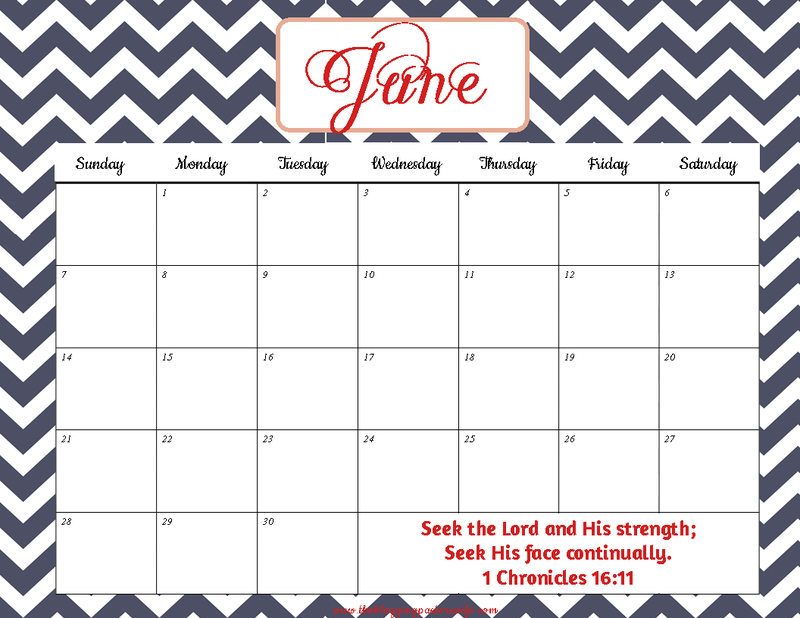 This calendar will print 8.5 x 11. Click the link above to print and enjoy!